It is always enriching travelling around India as you get a peek into the history and culture of the various places here. There are numerous attractions around to keep your enthusiasm up and also to get you involved. Of all the attractions that can be boasted about a few places in the country also have their respective ports. The coastal Indian states of Gujarat, Maharashtra, Goa, Karnataka, Kerala, Tamil Nadu, Andhra Pradesh, Orissa and West Bengal are home to some of the major and minor ports in India. The long coastline of India forms one of the biggest piece of land surrounded by a body of water. These Indian Ports handle a large volume of cargo traffic and container traffic. A city wherein every corner holds something of prominence, from the railway station to the local street food seller, everyone in Mumbai makes the city the way it is. Check out the never ending crowds of people in the station or get lost among the thousand of faces of people at the beaches. The Mumbai Port is located in the mainland of west Mumbai on the West coast of India with natural deep-water harbor. It is the largest port in India and handles bulk cargo traffic with its four jetties for handling Liquid chemicals, Crude and petroleum products. Goa and its beaches do not need an introduction. The state is well-known for its spectacular beaches that is a major reason behind its successful tourism. Replete with swaying palms, food shacks, flea markets, water sports and nightlife the beaches of Goa make for a perfect holiday. Covering almost 83% of the total coastline area of Goa, the beaches offer everything that makes for a memorable vacation. The main port of Goa, Marmagao port, is a best natural harbors of India located in South Goa. It is one of the leading iron ores exporter port in India and raw materials too.The port is one of themajor attractions of Goaalong with the beautiful city of Vasco da Gama. The natural harbor of Goa is one of India's earliest modern ports. Mangalore also known as the gateway toKarnataka lies nestled between the blue waters of the Arabian Sea and the green, towering hills of the Western Ghats. Named after the deity Mangaladevi, Mangalore has always been a bustling port with the first references to this place being dating back to the 14th century. Panambur Port known as the New Mangalore Port, is a seaport located near to Surathkal railway station in Dakshina Kannada district ofKarnataka. The New Mangalore Port is a deep water all weather port and the only major port ofKarnataka. It exports major commodities like manganese, granite stones,coffeeand cashew and main imports includes timber logs, LPG, petroleum products and cargo containers. There is a beautiful beach at south of sea port of Panambur along with the shore of the Arabian Sea. Kochi is an irresistible tourist destination and is a must see at least once in your lifetime. This splendid port city of India boasts of the mighty Arabian Sea as its water body. Kochi, erstwhile Cochin, comes under the Ernakulum district of Kerala. The name ‘Kochi' owes its origin to the Malayalam word ‘kochu azhi' that refers to a ‘small lagoon'; a very apt name for this port city. The Cochin port is one of the largest port in India and the major port on the Arabian Sea and Indian Ocean sea route. 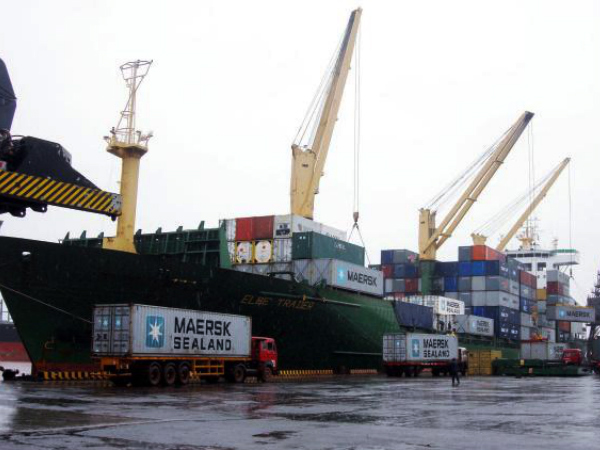 It lies on two islands of Willingdon and Vallarpadam and the largest container trans-shipment facility in India. Kochi Port is equipped with maritime facilities Cochin Shipyard, Kochi Refineries and Kochi Marina. The city is famous for its traditional spices and well known as the port city of Fort Kochi during the European colonials. Chennai, the capital of Tamil Nadu, is a major metropolitan as well as cosmopolitan city that is situated on the Coromandel Coast. It is one of the most important cities in south India as well as in the country in terms of commerce, culture, education as well as economics. In fact, Chennai is popularly known as the cultural capital of South India. Madras Port is the one of the oldest port of India and the second largest port in the country. It is also the largest port in the Bay of Bengal and a hub port for cars, big containers and cargo traffic in the east coast of India. Port of the Coromandel Coast handles a variety of cargo containers,automobiles,coal,fertilizers and petroleum products. Vizag also known as Vishakapatnam is a major tourist hub. The second largest city of Andhra Pradesh, Vizag is technically is an industrial city. What invites one here are the sandy beaches along its coastline and a couple of hill stations which provides a beautiful view of the coastline as well as the city from the top. The port city Visakhapatnam is located on the southeast coast of India in the state of Andhra Pradesh. It has one of the India's largest seaport and the oldest shipyard of country. The Visakhapatnam harbors is the only natural harbors in the bay of Bengal shore. For ages Haldia has been used as a viable sea port for Kolkata, the capital city of West Bengal. Kolkata's waters being too shallow for large ships, owing to silting, forced the state government to develop Haldia. In the process, Haldia has developed into a prosperous industrial town and has attracted several thousand tourists on a yearly basis, both from the business and leisure sects of travellers. Haldia port or Calcutta Port is a major seaport situated near the Hooghly River in the state of West Bengal. It is one of the major trade center for Kolkata and receive bulk cargoes of Chemicals, Petrochemicals and oils. It is also a base of Indian Coast Guard.